It’s only a few days until Michael Finnissy‘s 70th birthday year comes to an end, so in the nick of time, here’s the final part of my retrospective of his music released by his most loyal label, Metier. In turning to the piano music, i’m conscious that, to some extent, i’m setting myself up for failure. The piano is of such massive, fundamental significance to Finnissy – his website lists 172 works for the instrument, more than half his entire output – that to engage with this music meaningfully would require many more thousands of words than i can devote to them on this occasion. By my own admission, then, never will a surface have been so barely scratched. But it doesn’t take much more than a scratch to start uncovering a wealth of inspirations – musical, philosophical, political, sexual, ideological, technical – teeming within these works to an extent that, even for Finnissy, is startlingly extensive. There is, initially at least, something overwhelmingly daunting about this, yet it would be a mistake to regard Finnissy’s piano output as so many multi-faceted puzzles that can only be ‘got’ once all of their extrinsic influences have been grasped, parsed and assimilated. Nothing, i would venture, could be further from the truth: without wishing to put words into the composer’s mouth, i have little doubt that the notion of his music as some kind of ‘test’ would be completely anathema to Finnissy. Besides, all of them – without fail – communicate themselves with an immediacy and power that sets them apart both within his own output as well as from the majority of 20th and 21st century piano-writing. They can be enjoyed at surface level and also in the rich, subterranean layers of inspiration that lie beneath. To me, Finnissy’s piano music seems not unlike a kind of archaeological artefact: the more one goes digging, the more unexpected delights are to be discovered. Metier has released four albums of the piano works, which doesn’t sound like a lot but they nonetheless constitute over ten hours of music, including some of Finnissy’s most important works for the instrument. Released over a period of fifteen years, these releases successively grow in terms of both scope and duration. All but one of them are performed by arguably the composer’s most definitive interpreter, pianist Ian Pace. The earliest album, from 1998, is Folklore, features the composer himself at the piano, in an anthology of eleven works all of which either derive from or are at their heart rooted in folk song. Finnissy’s attraction to folk idioms is due to a variety of aspects, including its being a melodic line without harmonisation, its role as a “private utterance” (Finnissy notes how “some folk singers would not divulge certain songs to collectors because they were too precious”) and the fact that they were not composed for financial reward. The geographical range of folk music drawn on in this collection of works is considerable, spanning Romania, China, Poland, Azerbaijan, Afro-America, Australia, Macedonia and Britain. A great deal of human history and culture is thereby encompassed in these pieces. The source materials aren’t merely served up as quotations, but make themselves manifest in the music in two important respects. Their appearance at surface level is clearly the product of assimilation and consideration, Finnissy handling them with the freedom that comes both from genuine affection and a deep understanding of how, what and why they are. Beyond this, they colour the music in a more generalised way, lending various stylistic and idiomatic traits, harmonic, rhythmic, motivic. An especially striking example of this are the four gone-in-an-instant Polskie Tance (Polish Dances) that originate from 1955, when Finnissy was just nine years old. Each miniature is something of a study, a kind of thumbnail sketch of a dialect, the first of which (with obvious debt to Bartók) is a deliriously boisterous twenty-five second romp that, both despite and due to its brevity, is an astonishingly precocious compositional achievement, one that testifies to the importance of the piano at a very early stage in the composer’s musical life. 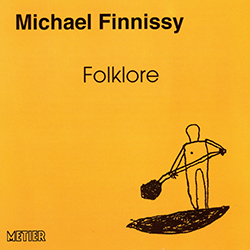 In the other works on the disc, composed from the early 1970s to the mid-1990s, the incorporation of folk elements into Finnissy’s broader compositional language is less stylistically mannered, more subtle and nuanced. A consistent approach involves making a melody the epicentre (both figurative and literal) of an intense exercise in embellishment and ornament. A touchingly simple rendition can be heard in My love is like a red red rose (composed for Finnissy’s partner), tiny sparks softly firing out from the melody at its core; one hesitates to use this word for Finnissy, but there’s something almost coy about the soft sensuality displayed here, each phrase almost blushing at it sounds. Sibling piece How dear to me goes even further, its barely adorned melody tapping into an intense intimacy that practically makes us blush as we listen. With a little more momentum this becomes the soundworld of Lylyly li, intricately weaving two tremulous, filigree lines around each other so closely that they each appear to want to occupy precisely the same space. But it’s the half-hour title work that literally and musically goes furthest at exploring line – although, having said that, it seems fair to say that Finnissy often keeps the piece relatively confined. In its entirety, Folklore comprises four parts that together last a little over two hours; to date, only the second has been recorded. It draws on a wide range of sources – including piobaireachd (Scottish bagpiping), Cornelius Cardew, the spiritual Deep River (Folklore 2 is dedicated to Michael Tippett), a Sussex folk-song as well as two withdrawn piano works of Finnissy’s own: one titled Haen (also related to bagpiping) and an earlier version of Folklore 3. Overall, the piece has a kind of ‘default position’ to which it regularly returns: long episodes of monody often elaborated and/or ornamented by varying quantities of trill. For all the ostensible simplicity of this, while many of these passages are harmonically focused and stable, Finnissy at times uncannily causes the material to tilt and sag such that everything suddenly becomes unsure, here and there exacerbated with violent explosions that remarkably retain their ornamental quality, making a trill feel something like a pneumatic drill. 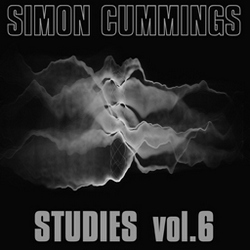 Around these episodes are contrasting bursts of variegated counterpoint, heavy and brooding, loud and pointed, assertive and exploratory, though perhaps the most striking comes around two-thirds of the way through, the piano seemingly growing reticent, receding away in the middle distance, as though mulling over the music entirely to itself. It establishes a pensivity that remains for the rest of the piece, all the while ascending into the stratosphere. A truly engrossing composition. Finnissy’s never-ending preoccupation with exploring existing music comes emphatically to the fore in the next two Metier releases. George Gershwin takes centre stage in a disc, released in 2000, featuring two major engagements with his work, Gershwin Arrangements (1988) and More Gershwin (1990). These two sets comprise short reworkings of Gershwin’s songs, often clearly retaining their original verse-chorus structure. Finnissy’s renderings often come across as kaleidoscopic, as though the songs were being viewed through varying forms of prism. It’s a startling effect, because at no point does the musical material sound remotely unclear: indeed, this is arguably some of Finnissy’s most transparent, crystalline music. What makes this startling is the way all this limpid clarity can at the same time be revealed as not actually focused, existing at something of a tangent to Gershwin. The very first piece, How long has this been going on?, is a superb example of this, absorbed from the outset in a rigorous exploration of the song’s elements until, two-thirds through, Finnissy suddenly makes the original resolve from nowhere, leaving one re-appraising what was happening in the two minutes that went before: how long, indeed, has this been going on? The effect is especially pronounced if one’s knowledge of the Gershwin songs in some cases is somewhat tenuous (as mine is, despite my life-long love of listening to Sinatra): pieces seem to be spiralling around a collection of rhythmic motifs or harmonic sequences with an improvisatory élan only then to coalesce into something instantly familiar. These are magical moments. Due both to their inspiration and conciseness, as well as Finnissy’s treatment, these are hugely accessible pieces. Many wouldn’t sound terribly out of place in a jazz club, channeling as they do a vibe that, as i’ve suggested, veers between avant-garde exploration and translucent immediacy. Things are looking up takes a mischievous approach, spritely and fun, for the most part prancing care-free around Gershwin before occasionally coming in closer, teasing us with it; Innocent ingénue baby behaves similarly, though here with a sense of moving inward, as though metaphorically turning Gershwin’s material over in the pianist’s hands, examining it. A foggy day in London town is a masterclass of the art of arranging, seemingly travelling a long, long way from Gershwin yet never once losing the sense that each and every note, phrase, chord has come directly from the original. The subject matter of the songs clearly matters greatly to Finnissy: take one of the longest arrangements, Love is here to stay, an initially subdued, somewhat distant piece that ever so slowly becomes more focused and demonstrative, ultimately becoming a huge, underlined assertion of the title. One of Finnissy’s most gorgeous arrangements. The second set, More Gershwin, pushes further in terms of both musical ambition and emotional scope. Wait a bit, Susie is the most prismatic piece of them all, barely clinging to clarity in the regularity of its rhythms, whereas the nearly eight-minute Nashville Nightingale, which concludes the set, embarks on a large-scale quest that progresses from a tentative feeling its way forward to an overwhelming, oppressive, even harsh fortissimo conclusion that threatens to flatten both Gershwin and us with the ferocity of its final tremolando. But the most far-reaching power comes from two more restrained numbers. Isn’t it wonderful! seemingly ignores its title entirely, rendered into curiously austere counterpoint, beautiful but ultimately deeply unsettling. Swanee is another example of kaleidoscope, its clarity shot through with events from strange angles; second time round it’s even more oblique, only then to enter into one of the most astounding (and unpredictable) moments of Finnissy’s entire output: a long, drawn-out coda (marked ‘desolato’) almost entirely drained of colour, stained by tears. Ian Pace’s articulation of this ending is utterly spellbinding, clarifying the music’s aching paradox of prettiness and pain. Pace’s double-take-inducing virtuosity is showcased with even greater dazzlement on Metier’s 2001 double album featuring, among other things, Finnissy’s Verdi Transcriptions. The use of the word ‘transcription’ here is interesting; whereas to my mind the word indicates uppermost an attitude of fidelity to an original source, for Finnissy the word carries the implications put forward by Busoni who, writing of the transcriptions by Liszt, noted that while “Notation is itself the transcription of an abstract idea. The intention of writing down an idea necessitates already a choice of time and key. […] Even if much of the idea is original and indestructible and continues to exist this will be pressed down from the moment of decision”, yet “a transcription does not destroy an original; so there can be no question of loss arising from it. […] For the musical work of art exists whole and intact before it has sounded and after the sound is finished. It is, at the same time, in and outside of time.” Indeed, Busoni’s attitude to composition – founded on a belief that the boundary between ‘composition’ and ‘arrangement’ or ‘transcription’ was unclear and perhaps indefinable – has clearly informed Finnissy’s approach to ‘transcribing’ Verdi’s music (and ‘arranging’ Gershwin for that matter), freely intermingling new music in and around the source material. The scope exhibited in the Verdi Transcriptions (heard here in their mid-1990s version, comprising fifteen movements plus three fragments; this has been subsequently reorganised and slightly expanded) is enormous, as is Finnissy’s preparedness to go way beyond an immediately obvious treatment. Just how far beyond is heard to good effect in the first piece (based on an aria from Oberto) which spends much of its time engaged in an intense melodic argument in the depths of the instrument, few details emerging to the surface except for some of the bigger gestures. Only as it segues into the second piece (using material from Un giorno di regno) does the music rise and begin to assert some clarity, even briefly becoming monodic. 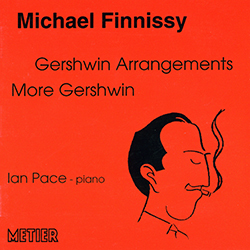 Unlike the Gershwin arrangements, though, these are not discrete, individual arguments; just as the Transcriptions seamlessly move from one to the next, so Finnissy’s musical journey is an over-arching one that straddles across these pieces with all the variety, exuberance and dramatic polarity and cut-and-thrust of an operatic work. Thus, through the fifth and sixth movements Finnissy throws a load of trills into the mix, triggering dense passagework with elements of filigree, becoming angry and violent, spluttering out staccato notes from the top of the keyboard. Verdi is allowed into the foreground in the seventh movement (based on Ernani), emerging grandly in the midst of elaborative figurations, but the elegance it subsequently brings is fragmented and shattered. And so the drama continues, passing through white-hot vituperation, more spells of monody, swirling balls of material, overblown campaigns of enthusiasm (the music practically tripping over itself) and some of the most gingerly articulated music, executed by Ian Pace as though he were afraid of touching the keys. Taken as a whole, what the Verdi Transcriptions say about Verdi is perhaps hard to say, though what it says of Finnissy could hardly be more obvious, demonstrating an intimidatingly brilliant and broad range of compositional invention, pushing the word ‘idiomatic’ to its pianistic limit. The way in which Pace navigates his way through these pieces and ensures their complexities are intelligible is amazing. However, two other works on this album are equally outstanding in these respects. Piano Concerto No. 6 (1981) is wondrous in the way Finnissy almost immediately pulls back following its furious opening, thereafter seemingly constantly slowing down, stretching musical connectivity almost beyond plausibility, climaxing in a splintering of high register trills. But Piano Concerto No. 4 (1980, rev. 1996) needs to be heard to be believed, Finnissy going beyond all limits of feasibility in a sixteen-minute splurge of eye-wateringly wild virtuosity, crowned with a convoluted canon redolent and worthy of Nancarrow. Ian Pace doesn’t so much ‘play’ the piece as transform into it. 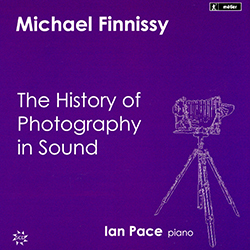 There then follows a gap of well over a decade before the most recent Metier Finnissy release, the five-disc box set of The History of Photography in Sound, which at a duration of 5½ hours, is the composer’s longest work to date. In turning to this piece, i’m reminded of the final stanza of Dante’s Divine Comedy, where the protagonist is forced to break off due to the intensity of what confronts him: “At this point power failed high fantasy” (tr. Mark Musa). From a critical perspective, perhaps THoPiS presents this the other way round: Finnissy’s high fantasy practically fails one’s power to write meaningfully about it. It surely goes without saying that the type of musical engagement taking place here is an order of magnitude greater than that of the Verdi Transcriptions. Yet even though the eleven movements of THoPiS have durations of between thirteen and sixty-seven minutes, which may imply less opportunity to take a step back and/or maybe grab a breather, Finnissy’s command of the ebb and flow of both a dramatic narrative and musical argument incorporates a vast range of perspectives that ensure the piece is first and foremost a dialogue with the listener rather than a 330-minute torrent by which one can do little more than simply be drenched. In this respect, the title is useful and instructive: it encompasses musical, cultural, technological and, importantly, personal ‘history’; the reference to photography draws on aspects of reproducibility (Walter Benjamin’s essay ‘The Work of Art in the Age of its Technological Reproducibility’ is directly relevant), as well as the engagement already discussed in the preceding discs, paralleling the visual idea of the ‘snapshot’ with the musical practice of quotation. 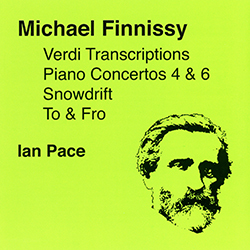 Once again, the range of sources Finnissy draws upon is considerable, by far the most extensive of his output, including popular song, spirituals and a plethora of folk musics from the farthest reaches of the globe alongside composers such as Alkan, Berlioz, Busoni, Debussy and Wagner, referenced in ways that are by no means always intended to be apparent. Despite the similarities, though, engaging with THoPiS is an altogether different activity from the majority of his music, and certainly from the three releases previously discussed: in every sense, it takes time. Each movement is an absorbing narrative in and of itself, and without wishing to claim this as the best way of experiencing the piece, listening to the movements separately (even with relatively short gaps in between) is a beneficial way to listen and in turn find various ways into the larger whole. 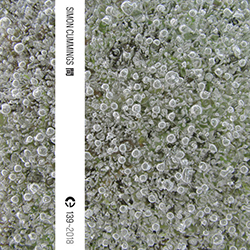 Third movement North American Spirituals is particularly fascinating in the convoluted way Finnissy grapples with a host of diverse (Afro-)Americana, channelling the exploratory spirit of Ives and in the process entering into episodes of profound tenderness in the midst of aggressive density. And i’ve often found myself returning to sixth movement Seventeen Immortal Homosexual Poets, drawn back by its extremes of utterance, ranging from near-inaudible caressing quietude to the kind of ludicrous, over-pressurised borderline incoherence heard in Piano Concerto No. 4. But ultimately, Etched Bright in Sunlight, the final movement, is to my mind its most telling music: not simply because it’s quite recognisably a ‘finale’ of sorts, but also for its hugely exciting toccata-like demeanour – maintained, with digressions, for nearly half an hour! – and above all for its use of pianistic colour, spanning the entire keyboard (most of the movements focus on the central register of the instrument). A soft outbreak of pensive counterpoint in the run-up to the end (utilising Bach) is a delightful jump-cut, adding a dramatic twist before the work’s climactic final rush of frenzied activity, Finnissy’s ‘camera’ abruptly fading out at the very end. Ian Pace’s commitment to bringing this work to life in this landmark recording – surely one of the most significant contemporary music releases of recent times – is simply awe-inspiring: pick a superlative, any superlative, and it might go some way to living up to this almost unbelievable achievement. Pace even somehow found time to write an entire accompanying thesis that proves incredibly helpful in navigating further into the deep, inspirational strata of Finnissy’s music. Which brings to an end both my retrospective of Metier’s remarkable legacy of support to Michael Finnissy’s work – comprising twelve albums and over eighteen hours of music – and also my celebration of the composer’s 70th year. Here’s to a lot more music, from both Finnissy and Metier, in the years ahead! Get out your wallets: Divine Art (Metier being one of their labels) have extended a special offer to readers of 5:4, enabling a 20% discount on all purchases from their website; enter the code DA16MAG at the checkout to get the discount. Click on any of the album covers above to be immediately whisked to the relevant page on the Divine Art website; the complete Metier catalogue can be viewed here.